Former RES co-founder and Chief Technical Officer to join Lidar-company Board. As part of strategic and significant growth plans within the business, ZephIR Lidar can confirm the appointment of Dr. Mike Anderson to the Board. “A proud moment” as Mike Anderson joins ZephIR Lidar. 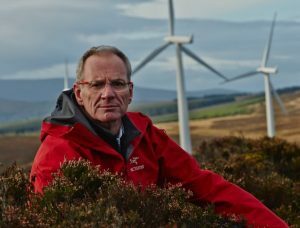 Anderson, a co-founder of Renewable Energy Systems (RES), a leading developer, constructor, owner and operator of wind energy projects throughout the world, joins ZephIR Lidar with immediate effect following his 35 year career as Chief Technical Officer. A significant achievement during this time was to lead the RES Technical Team in the development and design of the then largest wind farm in the world, King Mountain in Texas. Mike joins the board as ZephIR Lidar capitalises on the significant industry opportunities created by the company and others such as RES over the past 15 years.